Successfully capturing the essence of a moment. As if I am reliving it again. The whisp of pink cloud fascinated me. As the darkening sky engulfed it, a patch of soft white light appeared. I wondered… what was going on behind the clouds? 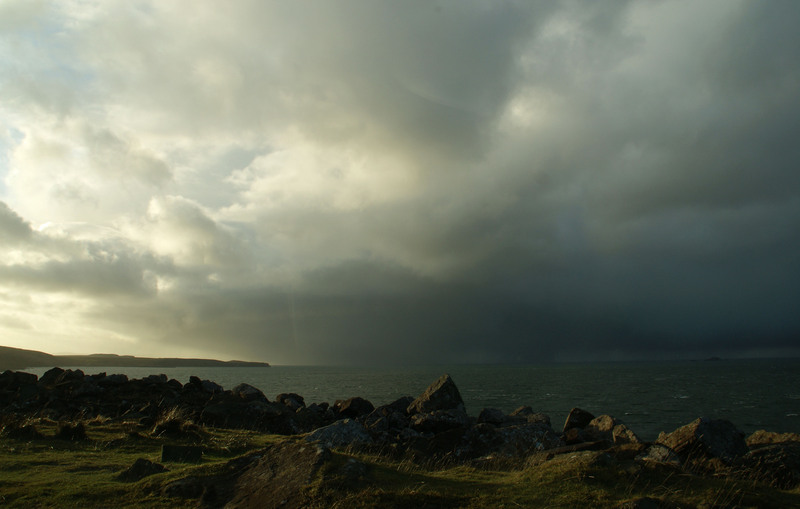 I love wild weather, so I was sitting in my car, sheltering from the icy wind, waiting in excited anticipation of a wild squall.